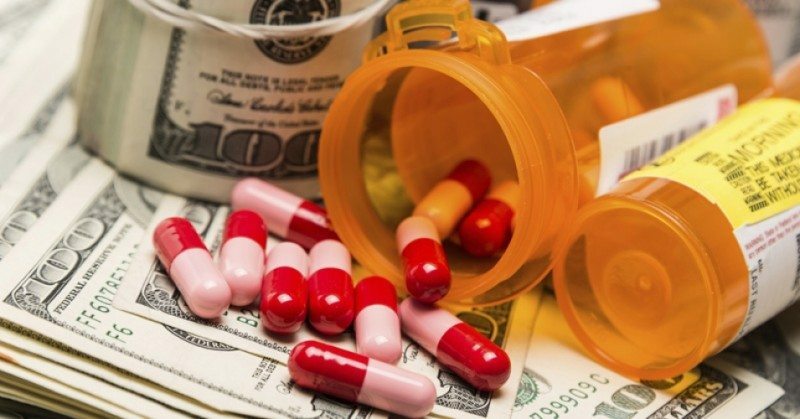 Big Pharma, big greed: Death by prescription | "Global Possibilities"
This article was produced by the Independent Media Institute. It was adapted from the book Big Pharma, Big Greed (Strong Arm Press 2019) by Stephen Sheller with Sidney Kirkpatrick and Christopher Mondics. On April 16, 2009, seven-year-old Gabriel Myers locked himself in the bathroom of his suburban Florida foster home, coiled a detachable shower hose around his neck, and hung himself. A bright and charming little boy with close-cropped blond hair and brown eyes, Gabriel was acting out, his behavior having spiraled out of control over the previous year. The police investigation would reveal a tragedy nearly beyond belief: child service caseworkers were medicating him with adult doses of antipsychotic drugs, the negative side effects of which included an increased risk of suicide and violent behavior. Prescription drug therapy for young Gabriel hadn’t begun in Florida but back in Ohio, where he was living with his grandparents while his mother, Candace, was serving jail time. Gabriel, four years old at the time, had begun wetting his bed and acting out in the classroom. On the recommendation of a school therapist, he was diagnosed with attention deficit hyperactivity disorder, or ADHD, and put on Adderall XR, an amphetamine that is popularly prescribed to children and teens to enhance concentration in the classroom. The drug may have temporarily masked the symptoms Gabriel was being treated for, but the root cause of his misbehavior wasn’t something chemical stimulants could remedy. It rarely is. Gabriel had repeatedly been molested at knifepoint by a 12-year-old schoolmate. An abuse report was filed two years after the sexual abuse occurred with no follow-up. By the time state authorities were made aware of Gabriel’s molestation, he was living with his mother in Florida. Gabriel came to the attention of police in 2008, when Broward County patrolmen found his mother, Candace, unconscious in her car parked behind a Denny’s restaurant. In the front seat beside her, they found powder and crack cocaine along with Xanax and Oxycodone in unmarked pharmaceutical containers. Gabriel, then age six, was in the backseat. The Florida Department of Children and Families took custody of Gabriel pending legal proceedings against his mother. Gabriel’s father, Rocky Newman, was serving time in a Florida prison and therefore unable to care for him. For the next 11 months, Gabriel would be a ward of the state. During his initial evaluation with child services, Gabriel was forthcoming about his mother’s drug addiction and the molestation he had suffered in Ohio. He was again diagnosed with ADHD and was this time placed on the next-generation amphetamine, Vyvanse. Though it was only approved for use by adults, Vyvanse could, like the vast majority of drugs used to treat ADD and ADHD, be prescribed to a child “off-label” with a physician’s approval. This allows doctors to prescribe the drug if they think it’s the best option for a patient even though the FDA has not approved the medication for a specific condition or a certain class of people, in this case children. However, rather than enhancing Gabriel’s ability to behave in the classroom, the drug cocktail made him more agitated and disruptive. Gabriel’s foster parents and schoolteachers reported more extreme behavioral outbursts; he was inappropriately touching other students and squirted classmates with red dye from a spray bottle. Gabriel was prescribed a combination of Lexapro, used to treat anxiety disorders in teens and adults, and Zyprexa, an antipsychotic that was approved by the FDA for adults with schizophrenia. Both of these drugs are known to increase the risk of violence and suicide. Patients sometimes suffer sudden mood swings and an inability to control rage. Gabriel’s court-appointed psychiatrist apparently didn’t know or take the trouble to investigate. In the last few days of his life, the seven-year-old told classmates that he felt a strong desire to kill people but didn’t have a plan in mind. His teachers reported that he sometimes appeared dazed in class and would trip, fall, or walk into things. At other times, he would suddenly laugh or cry uncontrollably. His medication was changed once more, this time to Symbyax, a powerful Zyprexa compound mixed with Prozac. He was also informed by child services caseworkers that his mother would no longer have visitation rights and that he would be relocated to Ohio, where the alleged molestation had occurred. On the day before he took his own life, Gabriel complained of severe stomach problems, was lightheaded and nauseous, and vomited in the school lunchroom. He was excused from classes and didn’t return to school the next day. Though state law mandated that he be supervised by a foster parent or certified caregiver, he was home alone with his foster father’s 19-year-old son, who was not trained or equipped to handle an emergency situation. At lunchtime, Gabriel tossed the meal that had been prepared for him into the kitchen trash can, announced that he was going to take his own life, and locked himself in the bathroom. Responsibility for Gabriel’s suicide can reasonably be shared by many, foremost among them his own parents, who were clearly unable to care for their son. However, there were many opportunities for intervention by those who were charged with protecting him. Had police investigated Gabriel’s sexual-abuse claims in a timelier way, he might have been put under the supervision of a therapist who was specifically trained to address his particular needs. A subsequent investigation substantiated Gabriel’s story, but not in time to do the most good or save other children from a teenage sexual predator at large in an Ohio elementary school. Florida authorities also didn’t request a copy of his child welfare history in Ohio, which would have presumably helped caseworkers and teachers better understand why the child felt compelled to act out. Most troubling of all was how Gabriel had been medicated for the last year of his life. Rather than deal with the root cause of his behavior, his court-appointed psychiatrist medicated him with powerful psychotropic drugs used to sedate adult patients. As the police investigation revealed, the psychiatrist spent no more than a few minutes with the boy before prescribing him these medications and, when later questioned by reporters, said that he could not specifically recall Gabriel as he was one of many foster children in his care. Lack of a proper interview, however, did not prevent the psychiatrist from writing prescriptions that increased the likelihood of violent behavior. Moreover, permission to administer these drugs was not obtained from Gabriel’s mother or the courts, as mandated by state law. The only document on record was a generic medical release signed by Candace on the night police found her unconscious from a drug overdose. Let’s not forget the murder of 12 students and a teacher and the wounding of 26 others at Columbine High School. At least one, and possibly both, of the two shooters was being medicated with psychiatric drugs. More recently, there was the case of Aaron Alexis, whose murderous rampage at the Washington Navy Yard in September 2013 left 12 dead. The psychiatric medication he was being given came with an equally dire list of potential side effects, which include mania, paranoia, psychosis, hallucinations, and self-destructive behavior. Less than three years before Gabriel Myers took his own life, four-year-old Rebecca Riley, diagnosed with ADHD, died in her Massachusetts home of a drug overdose of the antipsychotics Seroquel and Depakote. Rebecca’s teachers reported that she appeared to be so medicated that she had to be helped walking up the stairs and sitting in her chair at preschool. Seven months before Riley’s death, three-year-old Destiny Hager from Council Grove, Kansas, died from taking Seroquel, Geodon, and Risperdal among other powerful adult antipsychotics prescribed to children with attention deficit disorders. Her psychiatrist had also placed six other youngsters on antipsychotics, including one two-year-old, two three-year-olds, and a four-year-old. And these are merely the cases that make the headlines. The vast majority of children’s deaths from psychiatric drugs go unreported. I hear about them because the families of victims visit my law office and tell me their stories, wanting my help and counsel. The tragedy is that I know the deaths of these children could have been prevented. Five years before Gabriel’s suicide, I filed multiple lawsuits aimed at keeping these drugs from being prescribed to children. My litigation resulted in our firm winning the largest settlement ever paid by one defendant, Eli Lilly, for its marketing of Zyprexa. In presenting our case, I submitted overwhelming documentary evidence and sworn testimony describing how Lilly had knowingly manipulated test results that were presented to the U.S. Food and Drug Administration (FDA) and had assembled dedicated sales teams to illegally sell Zyprexa to children. Within a 15-month period, I had also successfully won settlements against AstraZeneca for its illicit sales of Seroquel and against Pfizer for its marketing of Geodon and other drugs. I would subsequently win another record-breaking settlement from Johnson & Johnson over its marketing campaigns for Risperdal and Invega. The evidence of pharmaceutical industry deception is overwhelming, and it seems, grows by the day. On Aug. 8, 2018, in a hearing before Philadelphia Common Pleas Court Judge Arthur New, our legal team presented evidence that Janssen Pharmaceuticals had engaged in a decades-long deception aimed at hiding the dangers of Risperdal from unsuspecting parents whose children had been given the drug off label for a variety of supposed behavior disorders. Going back as far as 2003, Janssen had clinical trial data showing the risk of young boys given Risperdal for developing gynecomastia, a condition in which they develop permanent female breast tissue, was as high as 12.5 percent. Yet on the medication’s 2006 FDA approved warning label, the overall risk of adverse events was placed at 2.3 percent while the incidence of gynecomastia was described as rare. In 2003, in furtherance of this deception, company marketing staff prepared a research paper for the Journal of American Psychiatry purporting to show that there was no linkage at all between the drug and the development of female breast tissue in boys. The company manipulated data to downplay the risk by, in one calculation, reducing the numerator of adolescent boys with gynecomastia while including in the study a group of older boys and females, a group with a lower risk. The manipulation resulted in a gynecomastia rate of less than one percent when the actual incidence was 4.4 percent. The company then drafted a scientific article, published in the Journal of Clinical Psychiatry, that lent credence to the idea that there was no linkage between the drug and gynecomastia, even though it had internal study results showing otherwise. Although much of the work on the article was done by Janssen, two prominent scientists, Denis Daneman, a Toronto based pediatrician and Robert Findling, a U.S.–based child psychiatrist, agreed to be named as co-authors. Some thirteen years later, following an onslaught of lawsuits, the company reanalyzed the data used for the Journal of American Psychiatry article claiming that it had confirmed the original findings of no risk. Daneman and Findling, meanwhile, issued a statement saying the 2003 article had been largely verified. The sad truth is that my litigation didn’t save the life of Gabriel Myers. Eli Lilly paid an enormous amount of money to settle the case, and for a few months, the company’s stock traded lower on the New York Stock Exchange. Investors, not corporate executives, paid the price. Also, for a time, the negative side effects of Zyprexa and its marketing to children made front page news. The same was true of our settlements with AstraZeneca, Pfizer, and Johnson & Johnson. Yet despite the landmark multibillion-dollar settlements to compensate for the harm done to patients and taxpayers, no corporate decision makers went to jail. These companies didn’t have to publicly reveal what they had done and neither were the vast majority of documents we submitted to the courts ever made public, a consequence of protective orders imposed by courts all too sympathetic to the wishes of Big Pharma. Today, all of these drugs – Zyprexa, Seroquel, Geodon, Risperdal, and Invega along with newer and more dangerous antipsychotics such as Abilify—are still on the market and are routinely prescribed to children who are, in my opinion, too young to legitimately be diagnosed as suffering from the psychotic disorders for which these drugs have been approved. Test results of a medicine’s side effects are routinely deemed to be proprietary information and hence not available to consumers, prosecutors, or even the FDA, the institution charged with regulating these drugs. Congress failed to ratify legislation that would have called for increased drug monitoring and closer supervision of children in foster care and other publicly funded programs on the grounds that doing so would place undue burden on the pharmaceutical industry – never mind seven-year-old Gabriel Myers, four-year-old Rebecca Riley, nor toddler Destiny Hager. In the legal climate we live in, a corporation’s right to free speech, even when it’s proven to be lies, often trumps the rights of consumers. Just ask our current United States Supreme Court. The courts and our government regulators delivered a clear message: even though the pharmaceutical companies illegally marketed their antipsychotics and knowingly withheld drug studies that might have reasonably resulted in their removal from pharmacy shelves, the government declared that these companies could, after all, go ahead and sell them to children. Apparently, the taxpayer-funded psychiatristwho had prescribed them to Gabriel Myers also wasn’t at fault, which is why today he not only still has his medical license, but also has a thriving practice treating foster children. If this sounds unfair, it’s because it is. If this doesn’t make common sense, it’s because it doesn’t. It’s the reality where we, as a nation, have found ourselves. Betrayals of the public trust have become so commonplace that the vast majority of us have begun taking injustice for granted. We accept lies even when we know we are being lied to. We accept the empty promises of reform with deep-seated cynicism and believe we are powerless to do anything about it. I do think we have choices, though. Rather than throwing up our hands in resignation or taking to the streets in angry and unfocused protest, it’s possible to direct our frustration and anger in ways that can and do make a difference. I know because I’ve succeeded in doing this in the courtroom—not to the extent or as effectively as I would have liked but long enough to know that justice can and will ultimately triumph when the truth is exposed. As I have sought to convey in these pages, fighting for justice demands a willingness to carefully examine the facts, think clearly about the nature of the betrayal, understand what can be done about it, and find a solution that will do the most good. Democracy is not a spectator sport. The powerful corporate and government forces that minimize the less powerful must be challenged, even in the face of overwhelming odds. Stephen Sheller is a Philadelphia-based plaintiffs’ lawyer and political activist whose pioneering litigation against the tobacco industry and pharmaceutical companies resulted in multibillion-dollar verdicts and brought about widespread reforms. He is the author of Big Pharma, Big Greed.